Hello everyone. Welcome to another BlueStacks Streamer Academy video. My name is Koopa, and we’re going to be talking about how to pick your username with the games that you play and as well as on Twitch. What do you want to be known as? Let’s go into it. I think we’ve all seen this screen before. We’ve got to create a character name and sometimes the best place to start is actually within the game you’re trying to play. That way you can have the same username with the game you’re playing, but also on Twitch, that way you can keep your aliases the same. Start by coming up with a name. Whatever might be available. Let’s just try a few random names. Let’s just humor myself to see if I can get KoopaTroopa on this server. Of course, name is unavailable. This is going to be the process of creating your username and the alias that you might want to become and what you’re going to be known as. Maybe we’ll try and do something maybe a little bit more extreme. We’ll call ourselves the Extremecandle. I can’t even spell candle because there’s not enough characters. How about the Extremefish? We’re going to be the Extremefish. Okay, so the name was created and I’ve got that available. This could be your alias, right? 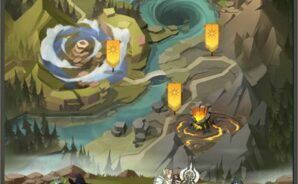 I’ve got it available in game. The next step would be to take this and go onto Twitch and to make your username there. Here we are at the Twitch username selection screen. Here are some other usernames that I’ve used in the past. However, we want to make a new one, and we want to see if it’s available. The first one we’re going to try is Extremefish. Extremefish. Username not available. Sigh. This is what you could do when you run into this situation. Let’s say you’re really set on making your username Extremefish, because you’ve got it in the game, in World of Warcraft and you’re really set on using that as your Warcraft alias, so try adding a space. This one is available. So we could just go with this and no one’s really going to question, are you the real Extremefish? No, they’ll just see, just from your streams that you are in fact the real Extremefish. Also, you could use numbers if you really wanted to. I have this 787 in mine, don’t even ask. If you’ve got your birth year or just your favorite number, you could do that. Sometimes people just do games. Like Extremefishgames or Extremefishplays, or Extremefishtv. You can add a suffix to the end of your username to help make it more unique, just so it becomes available. If it is similar to the usernames that you are using, or the alias that you go by within the games that you play, just so there’s some sort of continuity between Twitch and the games that you play. That way, players in the universe, they know who you are. Now, if you are completely helpless and have no idea what you want to do for your name, you could use a random name generator, like this one here. Be a Torthurin, Merilwen, Ledan, Letinu, Imorkur, Lashir, these are actually some pretty cool, unique names. You could just randomly generate more and more and more until you find something that sounds appealing to you. You can also select different lengths. Holy crap, look at this one: Carordorthornzen. Man, do you see someone running around with that name at an MMO, you know they’re a big deal. You could use a website like this to give you a better idea of who you’re going to go by, or what kind of an alias you want to create. I would steer away from using your first and last name. These names are a lot safer. Those are just a couple of things that you could use for creating your username. I would say make sure you try and get them to be somewhat similar. If your username on World of Warcraft is Terminator and then your username on League of Legends is Flowers and then your username on Twitch is TheMachineGun, you know it’s like there’s no continuity there. You want them all to be kind of similar, that way you’d be surprised how small this world is. You could take your alias, if you’re streaming on Twitch, you go into a random FPS shooter game, or an Overwatch match, and you’ve got a partner, it’s like, “Are you the real Extremefish? Dude, I’ve seen your stream before.” I’m telling you, it happens all the time. Try to have some continuity that way when you’re playing these games. You might get to see someone and talk to someone that knows who you are, and who knows, maybe you’ve got a brand new follower, someone that’s going to watch all of your streams regardless. It’s like, “My goodness, I just ran into this guy. I gotta check out his stream. Is he streaming?” And of course you are, because you know how much you have to stream to make this work. Once again guys, thanks for watching. 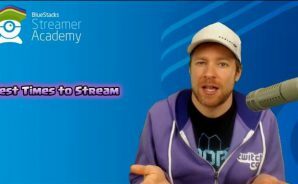 I hope this was a helpful video for you with BlueStacks Streamer Academy. We’ll see you in the next video.